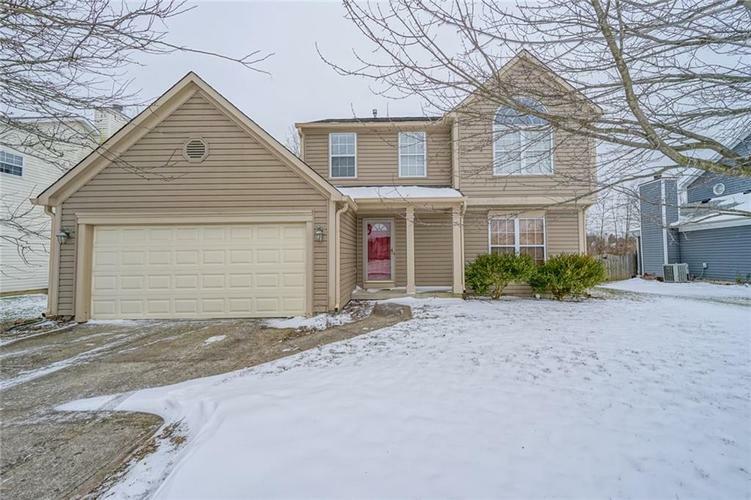 Beautiful 3 bedrooms, 2.5 baths two-story home with tons of great updates! Freshly painted throughout the interior! Family Room has vaulted ceiling with a wood burning fireplace. Kitchen has a center island, stainless steel appliances and tons of cabinet space. Master bath features a double vanity, garden tub, and separate shower. Backyard is fully fenced and the Basement ready for your imagination! Directions:Michigan Road to 71st St. West to Crooked Creek subdivision. South on Hollingsworth to home on right.